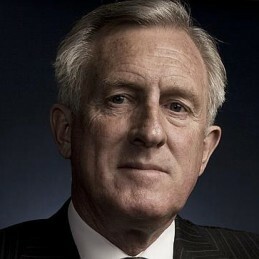 Dr. John Hewson is an economic and financial expert with experience in academia, business, government, media and the financial system. Dr. Hewson has worked as an economist for the Australian Treasury (Census and Statistics), the Reserve Bank, the International Monetary Fund and as an advisor to two successive Federal Treasurers and the Prime Minister. Dr. Hewson’s business career, before entering politics in 1987, was as a company director and business consultant and included roles as Executive Director, Macquarie Bank Limited and as a Trustee the IBM Superannuation Fund. Dr Hewson’s political career included seven years as a ministerial advisor and a further eight years as the Member for Wentworth in the Federal Parliament. He was Shadow Finance Minister, Shadow Treasurer and Shadow Minister for Industry and Commerce, and Leader of the Liberal Party and the Federal Coalition in Opposition for four years. Since leaving politics in early 1995, Dr. Hewson has run his own investment banking business and was, until December 2004, Member, Advisory Council of ABN AMRO, having previously been Chairman of the bank. In addition, he is Chairman to the Arthritis Research Taskforce and Osteoporosis Australia. He is also a Director of a number of other public and private companies. Dr. Hewson also writes an opinion column for the Australian Financial Review. A principal focus of Dr. Hewson’s career has been in Asia, where he has a wealth of contacts and experience in Government and business, having operated in Asia for the last 25 years in each of the areas mentioned above, as well as a consultant to business, government and international agencies such as the IMF, UNESCAP and ADB.